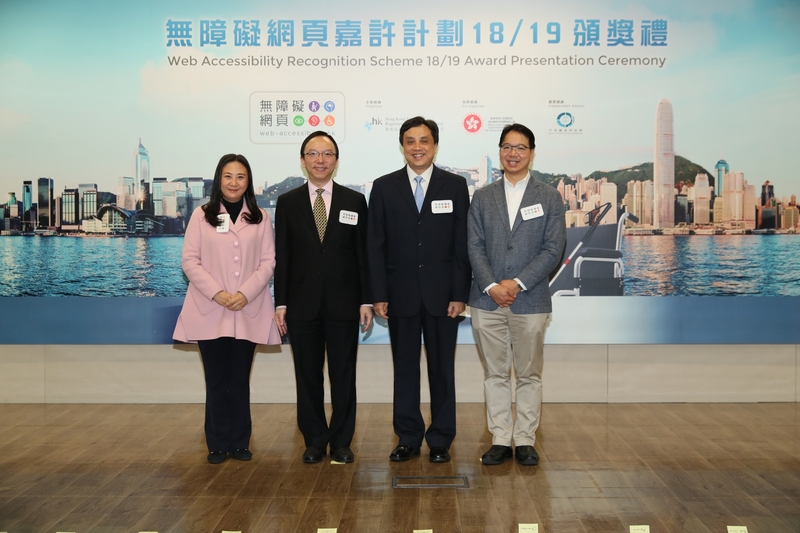 Hong Kong, 16 January 2019 – Local enterprises and organisations that have adopted an accessible design in their websites and mobile applications were recognised today at the Web Accessibility Recognition Scheme 2018 Awards Ceremony hosted by the Hong Kong Internet Registration Corporation Limited (“HKIRC”). 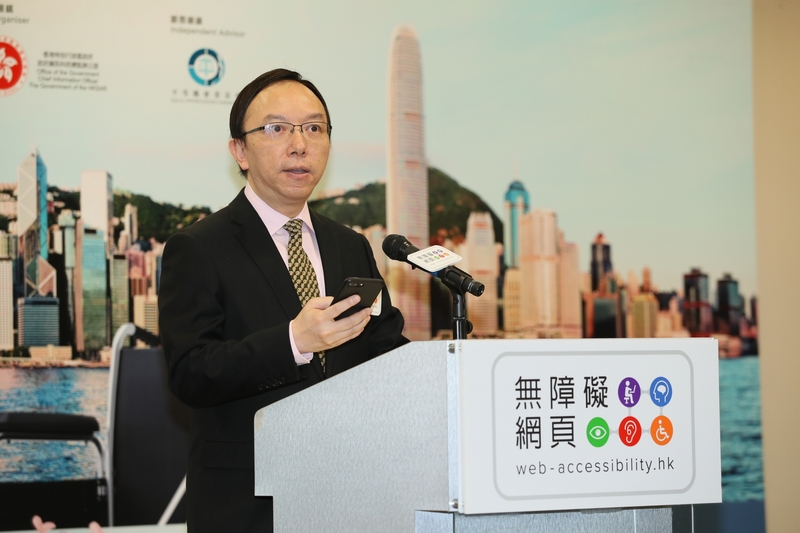 The HKIRC has taken up to organise the new round of “Web Accessibility Recognition Scheme” (“The Scheme”) in 2018, with the Office of Government Chief Information Officer (“OGCIO”) acting as the co-organiser, and with the Equal Opportunities Commission (“EOC”) serving as an independent advisor. During that time the scheme has evolved as technology has advanced, with the scope of awarded projects increasing from websites to mobile web and applications. 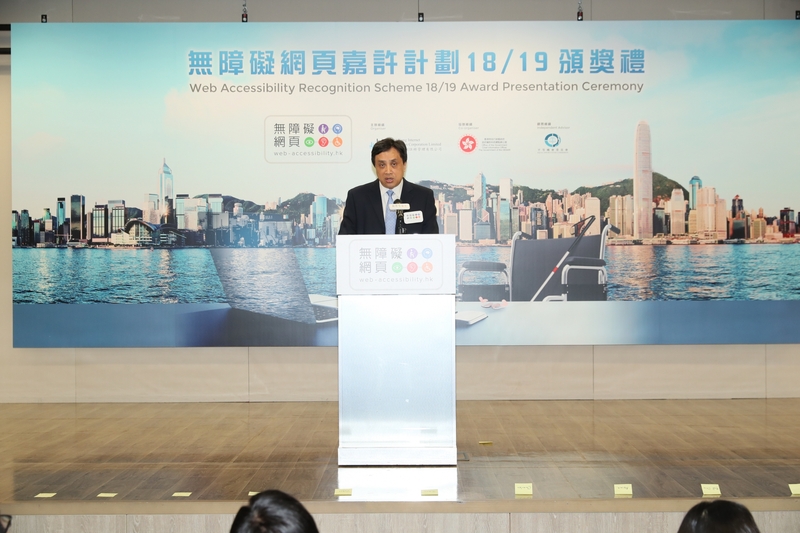 The Scheme debuted in 2013, which had been the annual event under “Web Accessibility Campaign” initiated by the OGCIO. The Scheme itself evolves over time to meet practical needs. Scope of awarding projects has been expanding from website to including mobile web and applications. With the keen support of the public, industries such as transportation, banking, and news agencies have started incorporating accessible features into their websites and applications, enabling individuals with special needs to leverage technology to keep abreast of the latest community news and events. Building accessible websites is key to helping impaired individuals integrate themselves into society, and at the same time hones their capability to work independently, which in turn increases their chances of employment. Taking the transportation and logistics industry as an example, a courier uses mobile applications to take delivery orders; people with special needs could also take up the job if the mobile applications incorporate accessible application features. Industry players have gradually added new functions to applications to enhance the user experience. For example, mobile map applications with a voice navigation feature can read out the current location of users from text to speech, enabling them to familiarise themselves with their surroundings. Some mobile payment applications have also added voice recognition tools, allowing users to input the money value verbally without using text. Meanwhile, banks and fast food chains have added voice recognition features to vending machines to meet the changing needs of the general public. The Scheme offers two application streams: Website Stream and Mobile Application Stream. Each stream features gold, silver, and triple gold awards respectively. To encourage enterprises and organisations of all sizes to enroll in the scheme, the Friendly Website, and Friendly Mobile App categories were added to each stream for this year, providing entry-level recognition for young enterprises and organisations. The Designer Award, and Recognised Designer commend website or mobile app developers. The Scheme provides various awards and recognition divided into three categories: website, mobile application, and designer awards. Awarded or recognised enterprises and organisations can place the respective recognition logo on their websites to show their support for the scheme, fulfil social responsibility, and project a positive corporate image. Hong Kong Internet Registration Corporation Limited (HKIRC) is a non-profit-distributing, non-statutory company limited by guarantee designated by the Government of the HKSAR to undertake the administration of Internet domain names under the .hk and .香港 country code top level domain. HKIRC provides registration services for English domain names ending with .com.hk, .org.hk, .net.hk, .edu.hk, .gov.hk, .idv.hk, .hk and Chinese domain names ending with .公司.香港, .組織.香港, .網絡.香港, .教育.香港, .政府.香港, .個人.香港, .香港, and other domains to be introduced from time to time in Hong Kong.